The apartment was very clean and was a good size to accommodate 2 couples. Owner was very helpful with information and tips for visiting the park and area. Great location, beautiful apartment and setting. They were also super helpful with directions for the park and surrounding area. 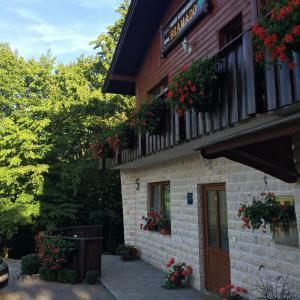 The space itself was wonderful and in an amazing location, and Malden accommodated is even when we showed up late and took the time to give recommendations that wound up being a highlight of Plitvice—off the beaten path, secluded, and beautiful!! We only wish our stay could have been longer, highly recommended!! The garden was a nice place to relax at the end of the day. The location to the park was 15 minutes by car which was important to us. There is a coffee machine and a toaster. Very nice for Europe. The host was very helpful and suggested many things to do and see. All the rest !! Confy beds, good kitchen ( nice to cook a warm meal after the rainy lakes) nice bathroom, cute garden... Really loved the place. Cozy bedroom with a comfortable bed. Clean and fresh. The kitchenette was very convenient, and the entry area was a nice place to store jackets and bags. The large back yard is lovely. There is a mountain vew with gardens, benches and a covered picnic table. We wished we had more than two nights to enjoy the property. Mladen’s enthusiasm for the lakes and his town is infectious. He was a fantastic host and made sure we could make the most of our visit to Plitvice and the surrounding area. He had looked up the weather report and made a suggested schedule that fit it best. He also gave us a quick tour of a few surrounding sites including lookouts of the lakes from the top of the falls. Malden was extremely helpful. His tips for visiting the park were very useful, and he was always ready to help with anything we could need. Great studio with kitchenette and deck overlooking wooded hillside. Comfortable bed, good wifi and TV. 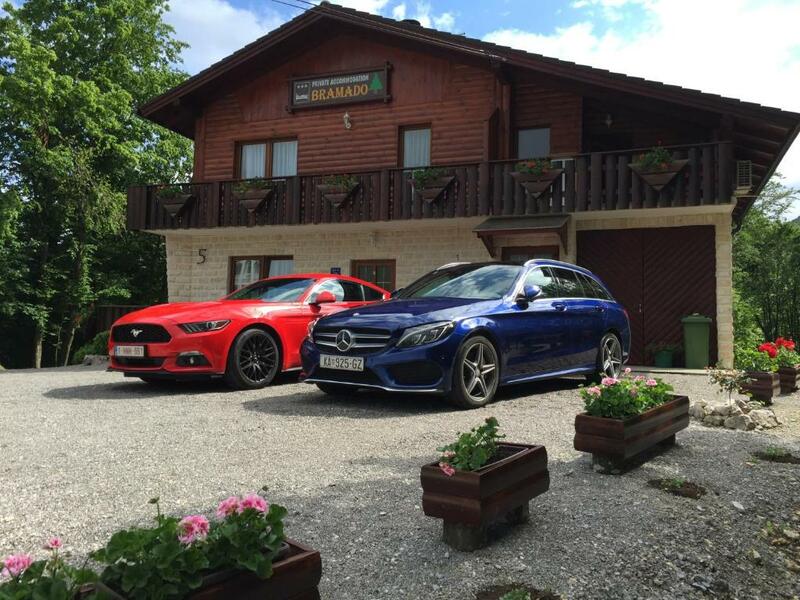 Host was very helpful in advising us how to make the best of our time at Plitvice Lakes National Park in Croatia, and also gave good suggestions on restaurants. Mladen was an excellent host. We arrived late in the afternoon (around 2) and he offered to drive us to Plitvice Lakes Park in order to see the lower part of the park on our first day. He was full of great information and spoke perfect English. There is a great restaurant near the apartment, a market for all your needs and even a little school with a playground that our son loved to play at. The bathrooms are nice and new and the kitchenette had everything we needed for cooking a meal. The beds are very comfortable too! We were a family of 4 (a toddler and an infant) and it was perfect! Thank you Mladen for a wonderful time! The apartment is spacious and comfortable. Location is great! The garden and patio behind the apartment is super cute! Host is very nice and offered a lot good information. 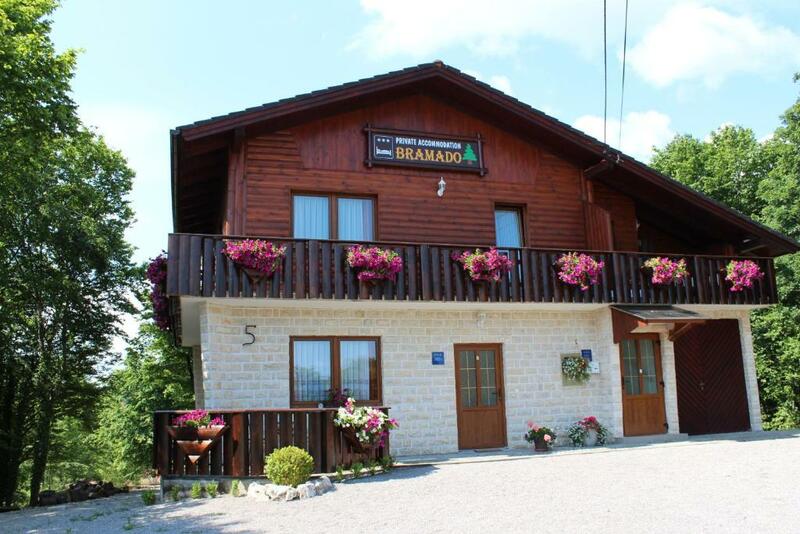 Lock in a great price for Apartments Bramado – rated 9.7 by recent guests! Apartments Bramado This rating is a reflection of how the property compares to the industry standard when it comes to price, facilities and services available. It's based on a self-evaluation by the property. Use this rating to help choose your stay! Located 1,000 feet from the center of Drežnik, Apartments Bramado is set in peaceful surroundings and 400 metred from a beach at Korana River. Free private parking and Wi-Fi is provided. National Park Plitvice is 3.1 mi away. All accommodations units feature a seating area, a flat-screen TV with satellite channels and a fully equipped kitchenette with a dining area. Private bathroom provides a shower. A grocery shop, a bar and a restaurant can be found 1,000 feet away. 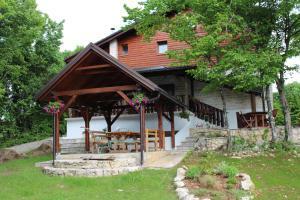 Horseback riding can be enjoyed 3.1 mi away, while rafting at rivers Una and Korana is available 9.3 mi away. Bike trails that run 6.2 mi through nature start right next to the property. The town of Slunj is 12 mi away, while Rastoke Waterfalls can be reached in 12 mi. 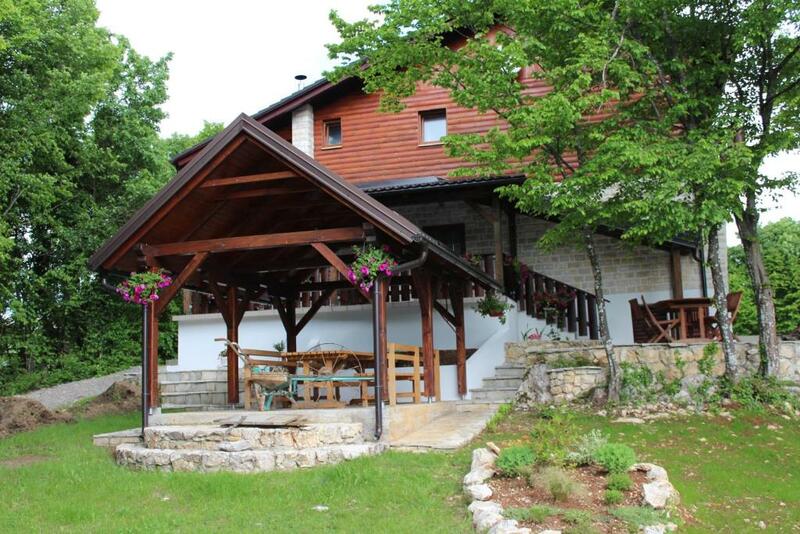 Busses stop 1,000 feet from the property, while Zadar International Airport is 75 mi away. Shuttle service is available at an additional cost. 뀐 Located in the top-rated area in Seliste Dreznicko, this property has an excellent location score of 9.6! When would you like to stay at Apartments Bramado? Studio fitted with a seating area, flat-screen TV and a fully equipped kitchenette with a dining area. Private bathroom provides a shower. Apartment offering a seating area, flat-screen TV and a fully equipped kitchenette with a dining area. Private bathroom provides a shower, while the balcony is furnished. Studio fitted with a seating area, flat-screen TV and a fully equipped kitchenette with dining area. Private bathroom provides a shower. House Rules Apartments Bramado takes special requests – add in the next step! Please inform Apartments Bramado of your expected arrival time in advance. You can use the Special Requests box when booking, or contact the property directly using the contact details in your confirmation. This place has an unique atmosphere of quietness which gives you an opportunity to meet yourself. Thanks Mladen for all your hard work. See you next time. 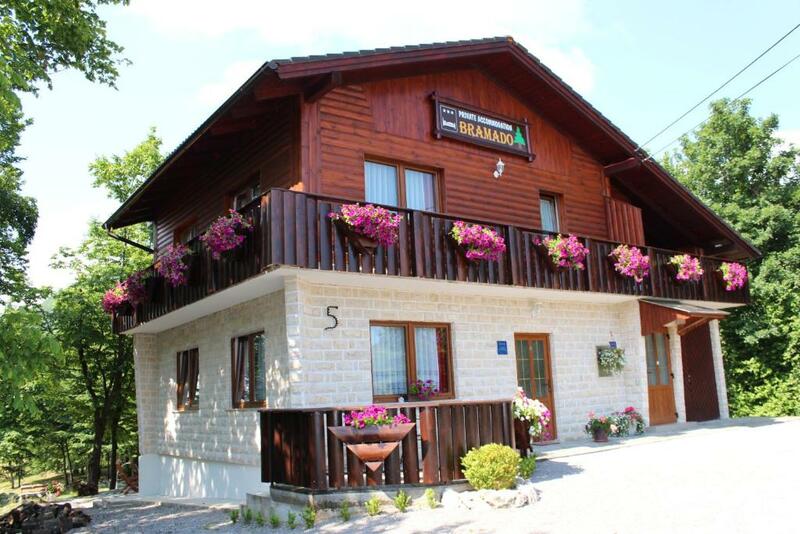 Nice, cozy apartment, close to restaurant, supermarket and 10 minutes to Plitvice NP. There were a few bugs in the room, but being so close to forest land I guess it can't be avoided and nothing too scary or nothing that kept us awake. Was actually surprised that there were no mosquitoes. We actually didn't have a lot of expectations because the apartment is in a small village and not a big commercial area. However, the apartment exceeded our expectations in comfort and amenities. The rooms were very clean and the host, Mladen was very helpful. He gave us very useful tips/suggestions on which paths to take at Plitvice Lakes. The location is also nice with a supermarket and restaurant nearby. The surrounding area is also very beautiful. Large and comfortable bed, wonderful host, beautiful surrounding, walking distance to grocery store and restaurant, 5 minutes drive to park entrance. Wonderful quiet location with a great host. Very useful advice about visiting the Plitvice national park. Lovely apartment with a great balcony to chill on. Super friendly host with excellent recommendations that were perfect for us - including a scenic viewpoint that we would not have found otherwise. Large bedrooms with very comfy beds. Only a 20 minute drive away from the national park entrances. 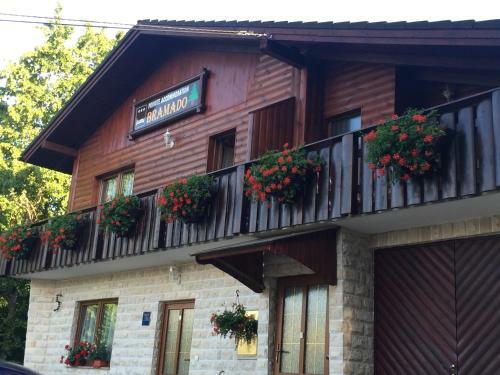 Had a great two day stay at Apartments Bramado to allow us to have a day at Plitvice Lakes (couple of tips: get there early, and also one day is probably all you need there). The host was very helpful and welcoming, and the room very clean and comfortable, with some very useful facilities such as a fridge and a small kitchenette. Actually it was good to have the option of making our own meals, as there are only a couple of restaurants within walking distance, and these can get very busy. We had a room at the rear of the property with a private terrace overlooking the beautiful gardens, and the highlight of our stay was kicking back with a couple of drinks after a full day walking round the national park. As some have mentioned, there is a little bit of noise in the apartment from the church bells and from the accommodation upstairs, but this didn't bother us on a two night stay, Would definitely stay here again. Beautiful apartment with lovely garden. We had a wonderful stay. Perfect for everything!!! And The host is so kind and nice:) He give great information for trip!! 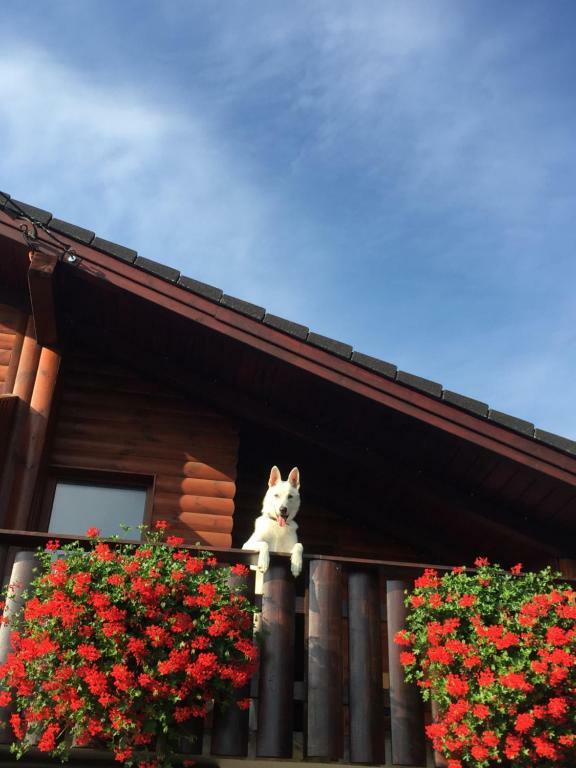 Location, the gardens are lovely and your dog is cute!! Mladen gave us very good information, tips and advice of the surrounding area and lakes. Thank you. Apartment was clean, lovely and complete, we loved the garden and the owner was incredibly helpful; he picked us up from the busstation, took us to a wonderful viewpoint and took me on a ride on his quad. We really enjoyed our time there. Our host was very helpful and nice and provided us many great advices and tips of the places to visit. He also spoke good english. Apartment was clean and bed was really comfortable. 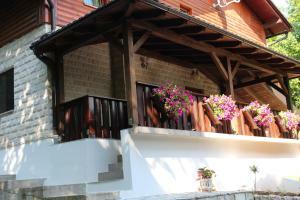 Also the terrace was nice, and apartments location was good, obly 15 minutes drive to Plitvice park, and area was peaceful. We really enjoyed our stay!